December « 2017 « Chemline, Inc. The Center for Green Schools at USGBC was founded in 2010 with a vision to put every child in a green school within this generation. The very week of its founding, I moved to Washington, D.C., to bring to a national scale the work I’d been doing with the Recovery School District in New Orleans. Through my work in that district, I had learned that healthy and safe learning environments cannot be taken for granted. I had also grown to understand that, every time a community builds a school, it has the chance to tell its children that they are valued. Over the nine years I’ve worked with USGBC, I have been privileged to be able to help many communities make good choices for their students’ futures. The energy and leadership that USGBC has invested in the green schools movement has paid off, and our commitment remains strong. We believe the mission we’ve set forth is about lifting people up and making our world not just more environmentally friendly, but more equitable. Everyone, from the kindergartener to the Ph.D. student, deserves to attend schools that sustain the world they live in, enhance their health and well-being and prepare them for 21st century careers as global sustainability citizens. Our mission is about building a green future for all, regardless of one’s social or economic background. My experience with schools and school districts in nearly all 50 states and several countries outside of the United States has given me a litany of reasons why green schools matter. It’s an easy question to answer when you have been in both the worst schools imaginable and the most inspiring learning environments in the world. By the numbers, schools have an enormous impact on people and the environment. Globally, 1 in 8 individuals set foot in a school each day. There are over 130,000 schools in the U.S., occupying square footage equivalent to half that of the commercial building sector. It is clear that where we learn matters, and better schools have the potential to improve the lives of millions around the world. A school’s curriculum, pedagogy, operations, culture and learning environment are all connected. Green schools serve as hands-on educational tools for students to learn about green building and sustainability. The real-world, project-based learning that sustainability education provides prepares students to discover new solutions for our global challenges, and we can best educate students for a sustainable world by modeling it for them at their own school. We also know that green school buildings are critical for student and teacher health. The importance of facilities to student health, wellness and performance is well established, and research also tells us that responsible investment in school buildings can lead to thriving local communities. Green schools support community health by reducing harmful emissions, minimizing environmental impact, saving energy and water while reducing utility costs, reducing waste going to landfill and lessening the burden of extraction of new natural resources for construction and operations. Since 2010, the Center for Green Schools has sustained volunteer action in every U.S. state and educated thousands at our annual Green Schools Conference and Expo. We have inspired acts of service to benefit over 7 million students during Green Apple Day of Service with almost one million volunteers across 73 countries. We launched Learning Lab, a platform for K–12 sustainability curriculum content, which now hosts over 500 high-quality lessons in English and Spanish. LEED Lab, a course to teach the LEED rating system to college and university students by giving them hands-on certification experience, is now offered in 25 institutions in nine countries around the world. As of October 2017, we have more than 12,100 certified and registered LEED K–12 and higher education schools projects. We have reinforced our belief that healthy learning environments lead to thriving communities with the publication of original research and policy analysis, and we have increased the introduction of green schools legislation in U.S. states fivefold. Our staff and volunteers have worked to establish the U.S. Department of Education’s Green Ribbon Schools award program in dozens of states, strengthening the program’s “three pillars” of a green school as unifying criteria for the movement. This criteria is now used by organizations in 25 countries through our Global Coalition for Green Schools. Anisa Heming at the Green Schools Conference and Expo. Photo credit: coolgreenschools.com. Finally, we have been the primary voice for a new job class, the K–12 sustainability director, providing professional development to a growing network of 120 school district staff who collectively serve over 7.5 million students. We have established Green Schools Fellowships and school district scholarships to successfully institutionalize sustainability positions in school districts. The Center sits at the forefront of USGBC’s drive to broaden our message about the impacts and benefits of green buildings. 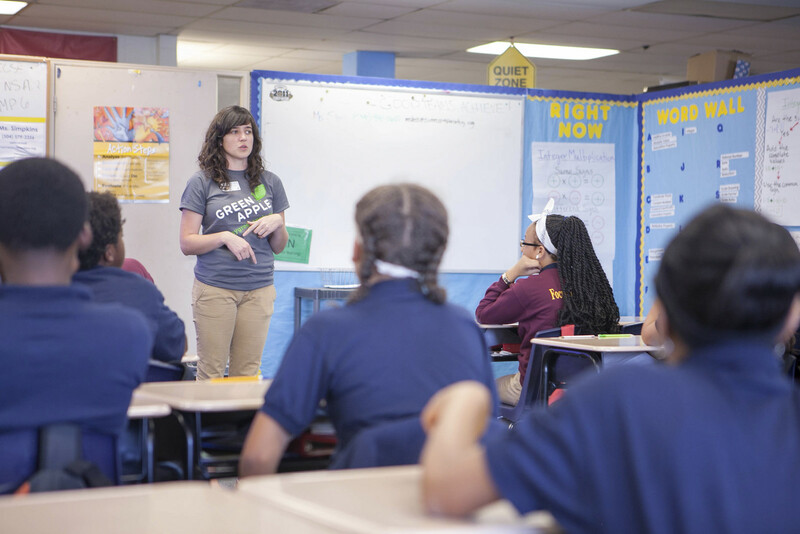 As the Center for Green Schools’ Director, I approach the work with the knowledge that schools are central to our communities and our future. Our children’s schools are of interest to the public in a way that few other buildings are. Additionally, schools have the potential to prepare students to care for and sustain the world in which they live, taking on their future careers with a mindset rooted in sustainability. I am excited that, with USGBC’s tools and the new Arc platform, schools and school stakeholders can benchmark their performance, access important educational resources, find inspiring examples of success, and connect with and learn from each other. High-quality tools enable passionate people to do transformational work, and these tools will help the green schools movement go further. Prepare students for a sustainable future by influencing the value of sustainability within mainstream education and serving sustainability education online. 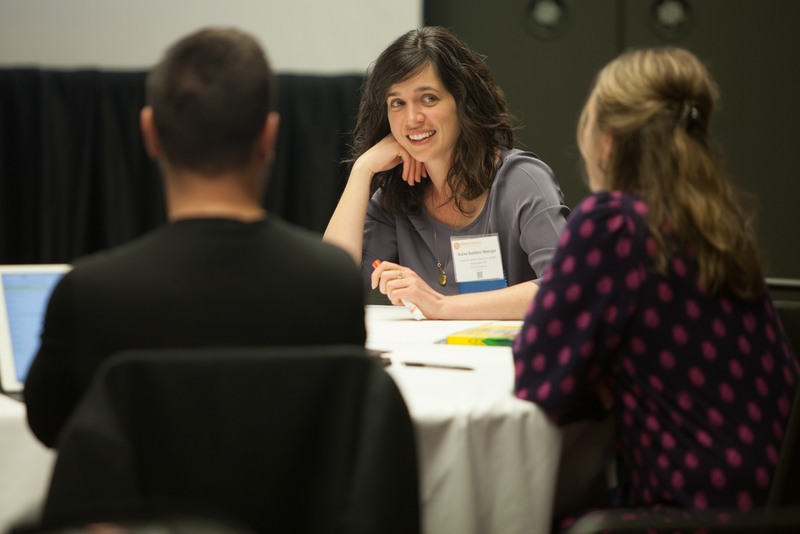 Engage communities for impact by driving engagement in sustainability at school and leading and educating green school champions. Guide policy and investment by advocating for school facility equity, encouraging investment in green school facilities globally and influencing school system practices and policies. We will leverage USGBC’s considerable strengths to maximize the work of the Center for Green Schools and bring the green schools movement into its next phase. Through all of this work together, we will grow the audience for green schools and provide a launching pad for schools around the world to do great things for their students’ futures—because where we learn matters. USGBC has submitted a public comment urging the U.S. Department of Transportation and the Federal Highway Administration to keep in place the current greenhouse gas (GHG) measure for federal highways. This message came in response to a proposed rulemaking that would repeal the measure, which requires state transportation departments and metropolitan planning organizations to monitor on-road vehicle emissions and set targets for improvement. The GHG measure applies to state and metro area transportation agencies that receive federal funding and is one of a suite of performance measures. The current rule does not impose any specific limit, but rather identifies on-road vehicle emissions as among the metrics appropriate for evaluating overall transportation system performance. DOT initially suspended the GHG measure, which eight states then challenged in a lawsuit. Notably, each of the states—which included California, Iowa, Maryland, Massachusetts, Minnesota, Oregon, Vermont, and Washington—argued that they have the duty to protect their residents from the adverse effects of climate change. California, the lead plaintiff in the lawsuit, cited its own legislatively mandated targets for emissions reductions, as well as the state’s particular vulnerability to the consequences of high GHG emissions. The built environment, which encompasses transportation systems and commercial, residential and industrial buildings, was responsible for 60 percent of total U.S. GHG emissions in 2015, according to the U.S. EPA. Tracking these emissions is essential to making our cities and states more livable, healthy and green—especially since you can’t manage what you don’t measure. LEED strongly supports GHG emission reduction through innovative and mindful design and implementation, including LEED credits that offer incentives to accommodate non-motorized modes of transportation and green vehicles, as well as rewarding strategies that provide access to reliable public transit. USGBC will continue to monitor all transportation performance-measure rulemakings, in order to support ways for society to measure and understand externalities imposed by our built environment.